Our range of products include rotary & fluid bed dryers, glass lined reaction vessels and gas generators. 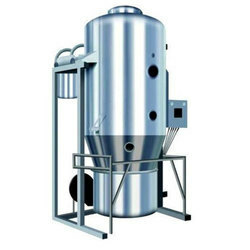 We hold expertise in providing a qualitative range of Rotary, Fluid Bed Dryers are widely used in technical and chemical engineering processes to carry out multiple chemical reactions. Our ranges of products are used in various industries like pharmaceuticals, chemical, food and beverage. We provide these with the features like fast and easy operation, they consume less time and are easy to clean. These fluid bed dryers offered in standard and customized options as per the demands of our clients at affordable prices. We are engaged in offering a comprehensive range of Glass Lined Reaction Vessels that are most suitable in industries like food-processing, pharmaceutical and cosmetic. These are manufactured using high grade materials and latest technology. They are mainly used for the production of highly refined and pure products such as fine chemicals, pesticides, vitamins and pharmaceuticals. Our range is widely appreciated by our clients for its unique features such as high performance and long service life. 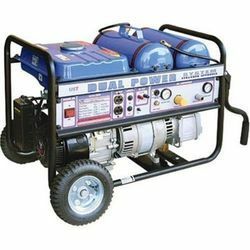 Our ranges of these Gas Generators are easy to install and maintain. 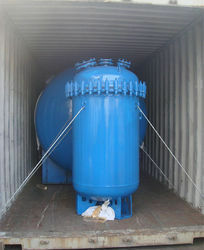 These gas generators are used to produces gas with purity and deliver dependable power and gas compressors are used in air separation, mechanical vapor compression and wastewater oxygen compression. They are well known for their long service lives, ease of handling, less power consumption, and require minimal maintenance. These are available in various specifications and models as per the clients own requirement.